DxOMark Image Labs tests and ranks cameras and smartphones — and now, front-facing cameras too. On Tuesday, January 22, DxOMark announced the new Selfie scoring category, ranking a smartphone’s front-facing camera. The new category comes with the first dozen smartphones scored in the category, a list that’s headed up by the Google Pixel 3, Samsung Galaxy Note 9, Xiaomi Mi MIX 3, Apple iPhone XS Max, and Samsung Galaxy S9. 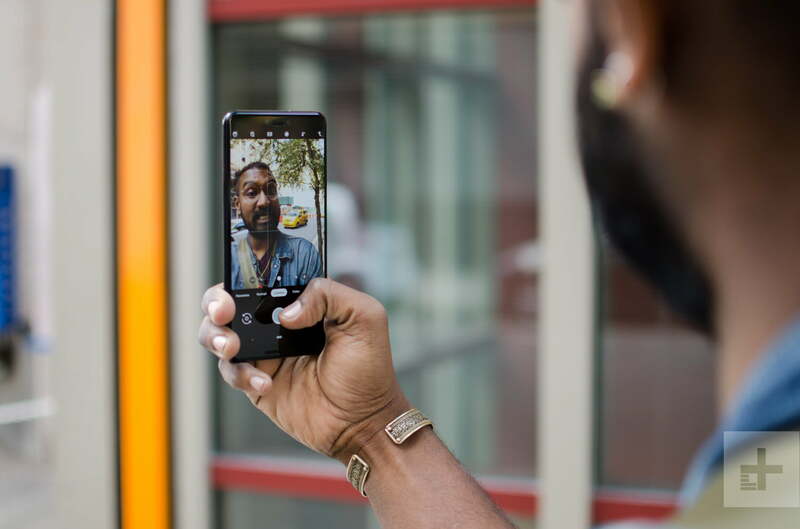 The Selfie score, which will be kept separately from the rear camera rankings, uses both objective measurements and analysis of the images captured; DxOMark calls it a “dedicated scientific protocol.” Each smartphone tested shoots at least 1,500 photos and more than two hours of video under different conditions, such as various lighting scenarios. DxOMark says the smartphone rankings are the first of its kind for the industry. The company says the tests are similar to the procedure for ranking rear-facing cameras, but incorporates new test equipment to focus on the selfies typically shots with the front cameras. One chart tests bokeh, another noise, and detail. A mannequin is used to ensure the camera’s results are consistent, while the test also includes an HDR portrait set up to simulate a backlit scene. The Selfie scores are divided into subcategories for exposure, color, focus, texture, noise, artifacts, and flash. DxOMark’s ranking system will remain separate for the existing mobile and the new Selfie category. Both selfies and “groupies” are shot and analyzed for the test, DxOMark says. DxOMark says the company decided to add a separate category for the front-facing cameras because of the different hardware typically used in the selfie cameras. Because the front and rear-facing cameras are typically used differently, the company opted to keep the rankings separate instead of mixing with the existing mobile scores. The number of users snapping selfies is growing, the company says, with more than a third of smartphone users taking selfies. With the announcement for the new Selfie category, the company also shared scores for the first 12 devices tested with the new standards on the DxOMark website. The scores will also be available in Chinese. DxOMark is known for hardware testing and lab analysis of cameras, for both stand-alone cameras and smartphones. The company launched its website database in 2008, adding lenses two years later. The company has been testing smartphone cameras since 2012.